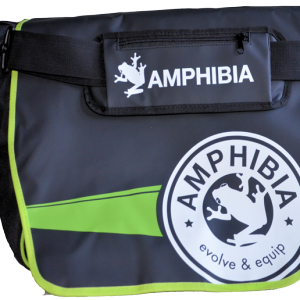 THE AMPHIBIA X2BAG IS CURRENTLY OUT OF STOCK - X3BAG WILL BE LAUNCHED IN THE FUTURE... STAY TUNED! 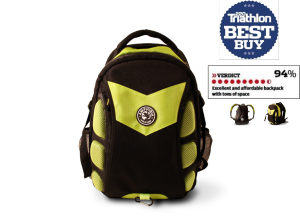 The award winning triathlon bag for transition, multi-sports, endurance and watersports! 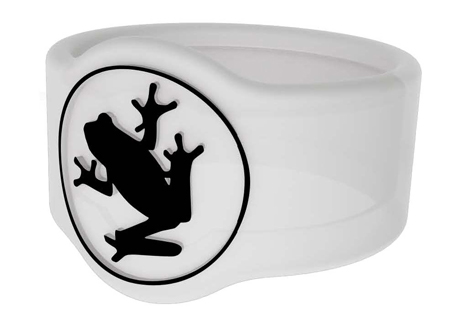 Made from durable & water resistant materials. 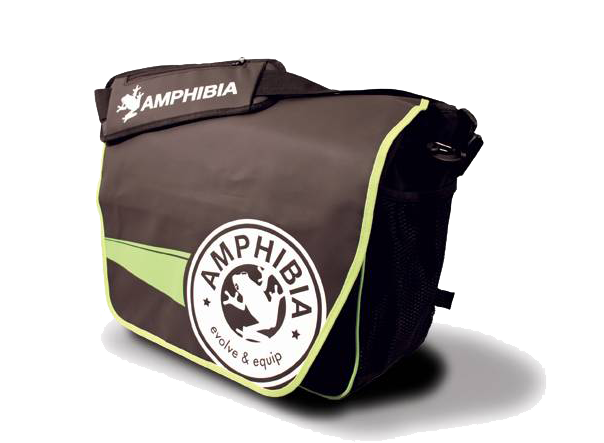 Packs in all your gear with comfortable carry position. 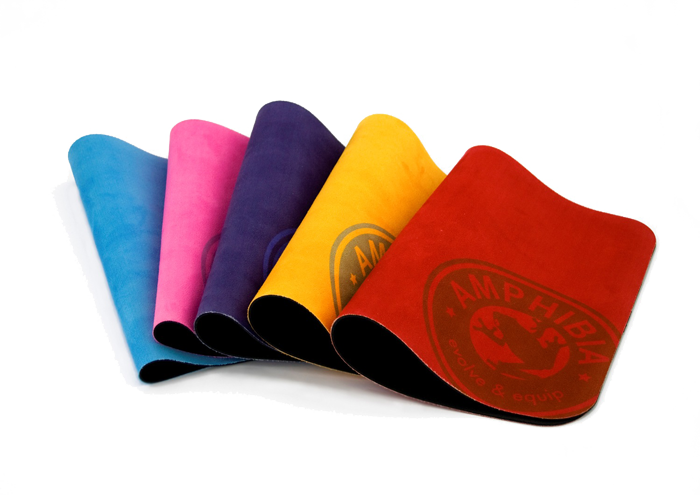 Fold-out changing mat to stand on. 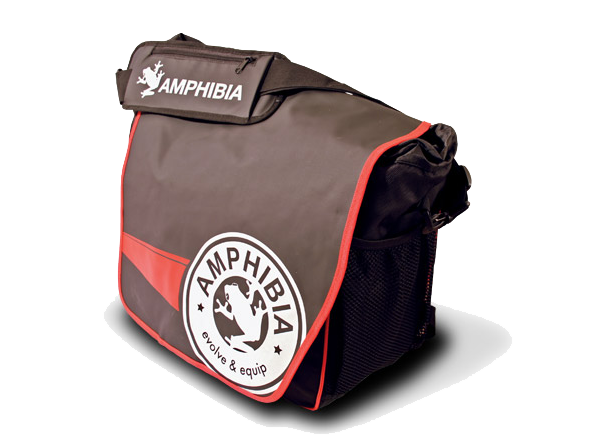 Detachable waterproof pouch stores wetsuit & wet/dirty/sweaty gear. 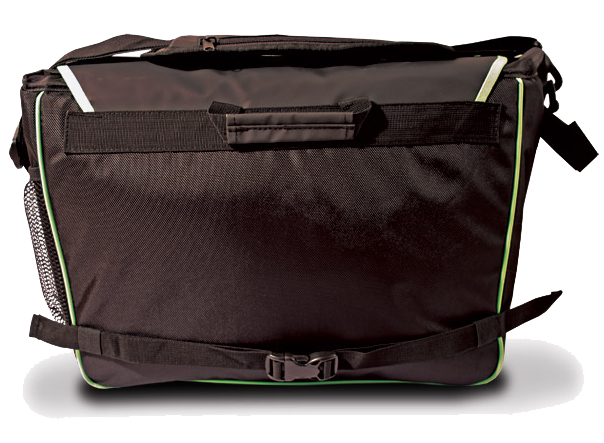 Messenger Bag style allows to easily fit in lockers & fold flat in transition. 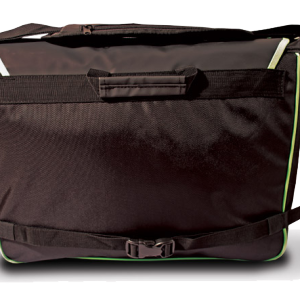 Meets airline regulations for carry-on luggage. Payment through Paypal secure systems & 30 day money back guarantee. 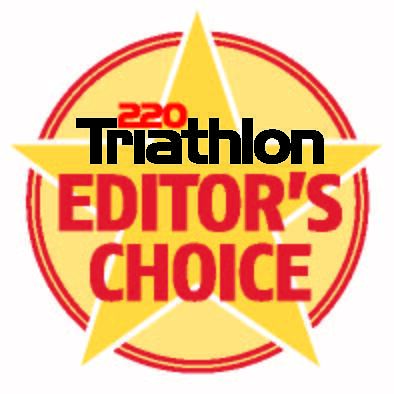 Top triathlon bag (awarded Triathlon 220 Editors choice twice) but also ideal for numerous other sports. 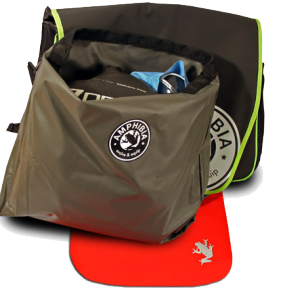 The Amphibia X2Bag is for those who have plenty to carry and compete in rugged circumstances – so you have plenty of gear, want to keep your wet and dry stuff apart and could use a changing mat for standing on. 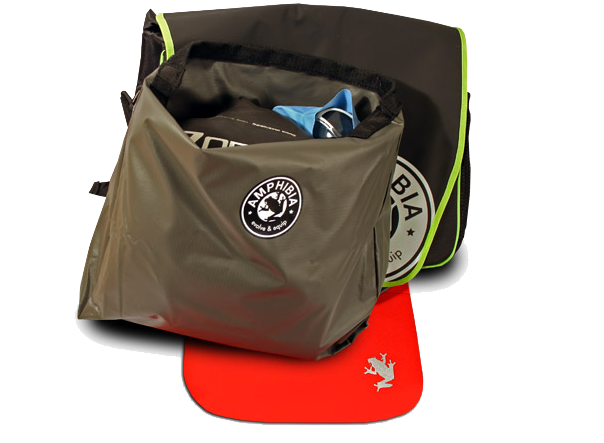 The X2Bag’s outer material is highly water resistant and it also has a waterproof core for storing wetsuits, towels or wet gear. 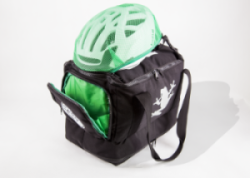 There’s a mesh pocket on one side for storing drinks/tools and a velcro loop on the other side for attaching equipment. 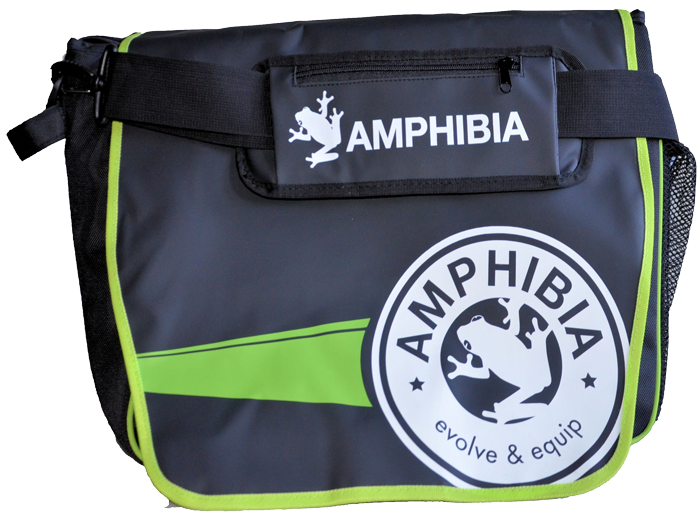 The padded shoulder strap contains a zip pocket for storing valuables. 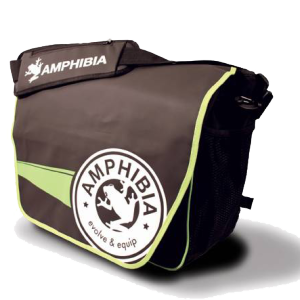 There you have it – the Amphibia X2bag. 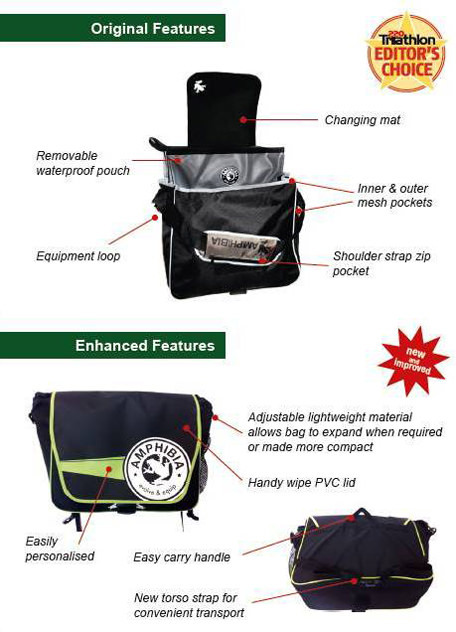 Its everything you want to be – rugged, strong, smart and dependable. 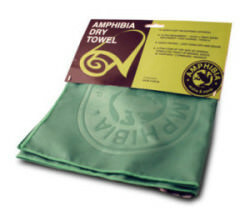 It wont let you down, particularly if the weather does! 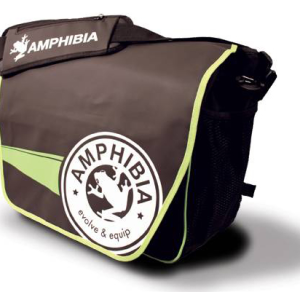 Amphibia X2Bag is now available to buy in stores nationwide. 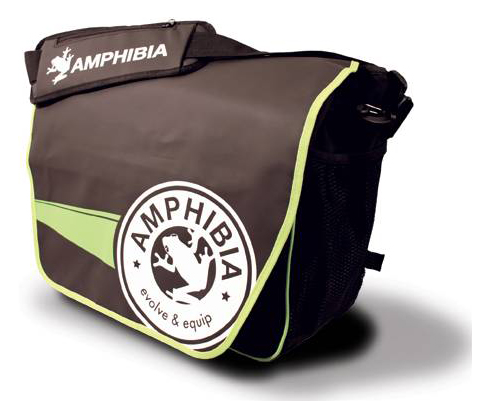 To get your nearest stockist email us to info@amphibia-sport.com and we’ll let you know, or buy online through our secure payment system. Payment is through Paypal and you dont need a Paypal account just a credit card number! 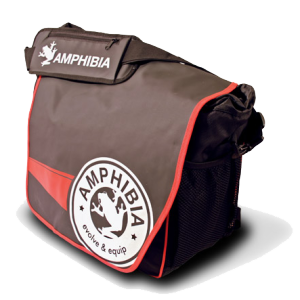 Our bags are now couriered worldwide and will be shipped within 24hrs of purchase. 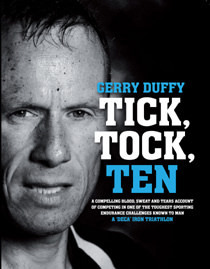 Gerry Duffy – ultra athlete (ran 32 marathons in 32 days & won UK Decathlon – 10 Ironman races in 10 days). Author of 2 books “He Who Dares Runs”, and “Tick Tock Ten”.